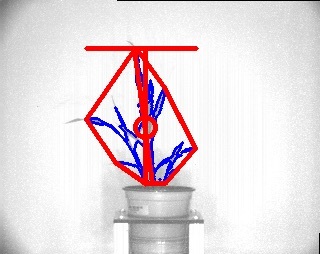 This function calculates the intensity of each pixel associated with the plant and writes the values out to a file. 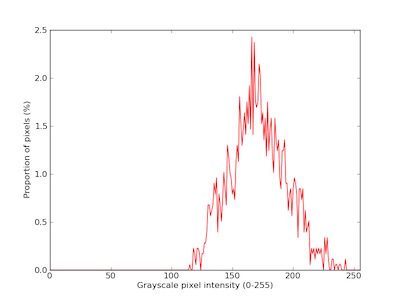 Can also print out a histogram plot of pixel intensity. 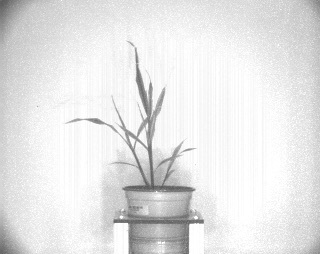 Note: The grayscale input image and object mask can be used with the pcv.visualize.pseudocolor function which allows the user to pick a colormap for plotting.